Spittoon of silver, almost spherical body with trumpet-shaped mouth which is decorated with openwork floral designs along the rim. Cecil Wray was born in 1850, son of Leonard Hume Wray, a planter in Perak, and brother of Leonard Wray (1852-1942). According to his daughter Dorothy, Cecil and Leonard went to Malaya in 1877 to look at the remains of their father’s sugar plantation that was struck by a disease. Later both of them joined the Public Works Department of the Perak Civil Service in 1881. Cecil was stationed in Perak for 10 years before he was appointed British Resident of Pahang in 1904. Leonard founded and ran the first museum in Malaysia, the Taiping Museum (now Perak State Museum in Taiping) in 1883 and later became Director of Museums in 1904-8. He was also responsible for collecting the Perak exhibits for the Colonial and Indian Exhibition of 1886. In the early days they did a good deal of exploration in Perak. Cecil was always a keen collector and was very fond of the Malays and very interested in their art and culture. He had acquired an enormous amount of things as well as silver. 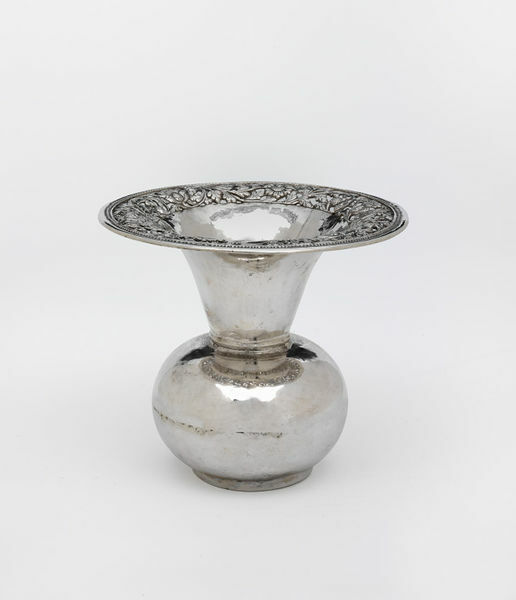 His silver collection comprising over 150 pieces (Choo, 1984:4), some of which were sold to the Raffles Museum before he returned back to the UK in 1908. His silver collection was then on loan to the Bankfield Museum in Halifax. 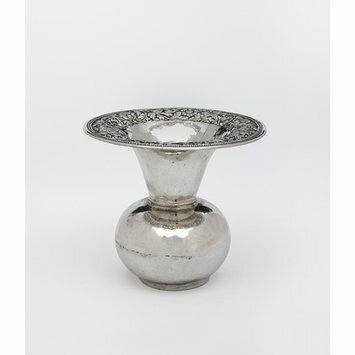 Many pieces are illustrated in Henry Ling Roth’s Oriental Silverwork, Malay and Chinese first published in 1910. Cecil died in 1946 aged 95. Dorothy Wray inherited his father’s collection and later offered 101 items of Malay silver including five textiles as gifts to the V&A on 19 September 1975 (Museum numbers, IS.40 to 140-1975.) She also gave a number of books, photographs and pamphlets relating to Malaysia and Wray’s career to the Museum and the British Library in 1976. She passed away in 1979.